It can be difficult to find the right heating technology for your needs. Most industrial and commercial customers demand an innovative combination of efficiency and safety in their heaters. At Pelonis, we find that the perfect solution is PTC heating. PTC (Positive Temperature Coefficient) is a unique technology that eschews traditional resistance wire and replaces it with ceramic stones or chips. This simple switch in materials is what makes PTC electric heaters superior to traditional coil electric heaters. In this blog, we will cover what we believe to be the top three benefits of modern PTC heating technology. On its own, this is a powerful reason to make the switch to PTC technology. Traditional heaters run at internal temperatures that can exceed 900°F (482°C). Compare this with PTC heaters that usually run at 518°F (270°C). As you might expect, lower running temperatures will always bring an increase in safety. As well, because PTC stones do not generate heat at a constant rate like resistance wires, they will cool down quickly to avoid overheating. 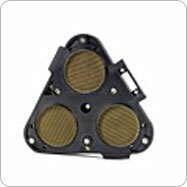 PTC heaters are also less susceptible to overheating due to scale buildup or sludge. As with any piece of equipment, the longer internal temperatures stay high, the shorter the lifespan. Much like an overheating cellphone or laptop, a heater will not last too long if allowed to operate at extreme temperatures. As mentioned above, PTC heaters only generate the heat necessary to fulfill its preprogramed goal. This limits overheating which means less chance for it to burn out. We have established that PTC heaters are safer and longer lasting. It only makes sense then that these benefits will directly affect your bottom line in a positive way. A self-limiting PTC system means less money spent on special equipment to avoid overheating like trip protectors. As well, the smoother running PTC heater breaks down less and needs less maintenance. At Pelonis, we are proud to offer our clients the latest in PTC heating technology. Our Honeycomb PTC Heaters offer you proprietary heating discs that are made from a revolutionary ceramic material that has 1,200 round/triangle shaped holes. These unique discs heat 100% of the airflow across their entire surface, which allows them to get 50% hotter than conventional coil heaters. 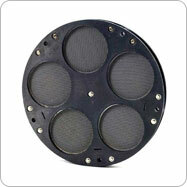 We also carry some innovative Honeycomb PTC holder assemblies and Fin PTC heating elements. 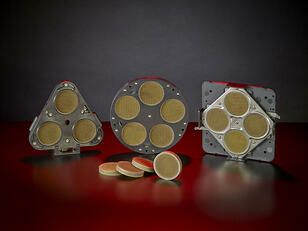 Back in 2012, PTC changed the industry for the better with our new, revolutionary, Sealed Bearing System (SBS). 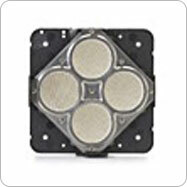 As you know, SBS is a cost effective and high performance, environmental DC fan bearing solution. It increases cooling fan life by actively reducing damaging oil leaks and dust contamination. In order to understand the real impact of SBS, you first need to take a quick look inside the manufacturing of DC fans. With thicker, high-additive lubrication, there is less evaporation. This, combined with a lower oil content, means that our lubricant gives the superior ball bearing design the long-lasting edge you’re looking for. Pelonis’ customers have found that our SBS is a very practical solution for DC fan application that requires the benefits of both sleeve and ball bearings. If you are interested in learning more about how Pelonis can help you find the right PTC heating technology for your application, please visit our website or contact us today!